The girl, who has not been named, ingested insecticide into her system in Oba Adetona Hostel of the University where she lodged. She was an undergraduate of the department of Management; School of Management and Information Technology (SMIT). According to a source who spoke with LIB her main reason for committing suicide was that she had carry-over in 9 courses in her first semester in the institution. "She was a 100 level student of Management Department of the School of Management and Information Technology (SMIT). She saw her first semester result and had F in 9 courses so she went back to her hostel very depressed and drank ota pia pia," the source told MB (Mimi's Blog). 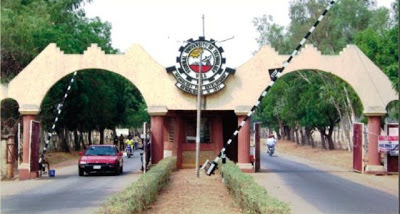 The school, which was formerly called Federal University of Science and Technology, Yola, FUTY, before the name was changed in 2011 to MAUTECH, is rumored among students to be a tough institution to pass through and this will not be the first time a student became frustrated after seeing their result. The school authority is yet to give an official statement as regards the incident. May her soul rest in peace.. Amen!